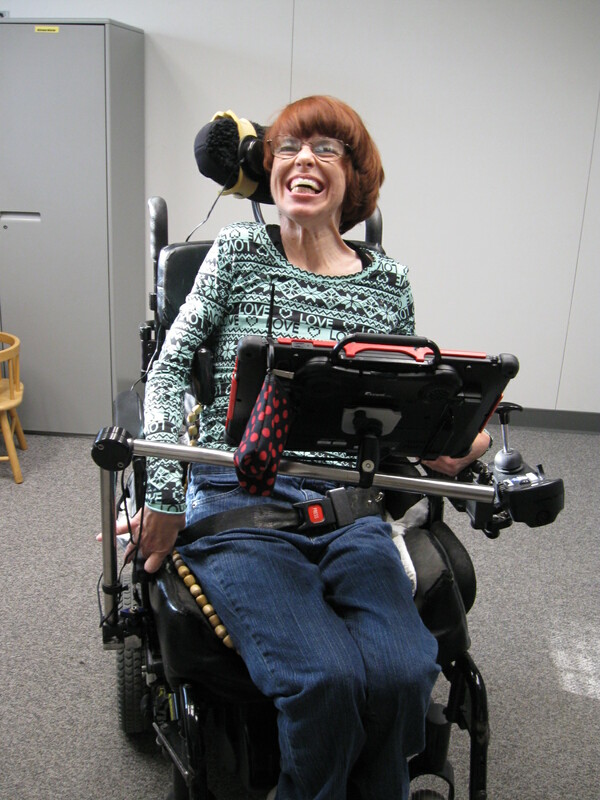 The Center for Applied Rehabilitation Technology (CART) opened in 1989, to help children and adults with physical disabilities lead more independent lives through the use of assistive technology. Assistive technology is often the tool that enables individuals with disabilities to participate more fully in everyday activities at home, school and work. An interdisciplinary team consisting of occupational therapy, physical therapy, speech pathology and a technology specialist are available to address one or more of the following technology areas: seating and mobility, augmentative and alternative communication, electronic aids to daily living, computer access and worksite evaluations. The experienced CART staff work together with clients and caregivers to ensure that those technologies recommended are compatible and provide optimal function. Clients of any age who have a physical disability are eligible for services (e.g. cerebral palsy, spinal cord injury, traumatic brain injury, progressive neuromuscular diseases, etc.) Clients may have multiple and/or severe disabilities and may need an integrated approach to meet one or multiple technology needs. In order to initiate a referral, call the office manager at (562)401-6800 during normal business hours, 8:30 am to 4:30 pm, Monday through Friday. You may also download the CART intake form, fill out the pertinent information, and submit the completed form by fax or email. Upon review of the intake form you will be contacted regarding other information needed prior to scheduling an appointment. Insurance coverage needs to be verified before scheduling. CART assists children and adults with disabilities in leading more independent lives through the use of Assistive Technology (AT). AT is often the tool which enables individuals with disabilities to participate more fully in everyday activities at home, school, and work. CART provides evaluations with written reports summarizing technology recommendations and justifications, equipment set-up and training, and equipment modification and fabrication. CART services cover these AT areas: Seating and Mobility, Augmentative and Alternative Communication (AAC), Electronic Aids to Daily Living (EADL), and Computer Access and Use. Proper positioning helps insure optimal function and is often primary to determining access to other assistive technology. A variety of cushions, posture positioning systems, manual wheelchairs, and other mobility devices are available to determine the most appropriate positioning and means of mobility. Individuals with severe speech impairments are often candidates for AAC systems. Systems range from communication booklets consisting of pictures, letters, or words to devices with speech and/or printed output. Software and hardware adaptations can assist individuals in accessing and using a computer. Adaptations include modified keyboards, switch access, keyboard/mouse emulators, and speech input. Ergonomic issues are also addressed. Problems related to performing current or potential job duties are evaluated. Environmental factors such as accessibility and workspace configuration are also considered. Individuals who have difficulty operating their lights, TV, and/or phone often find an EADL helpful as an alternative means of control. EADL products range from simple call bells to sophisticated systems that control numerous devices within the home or office.